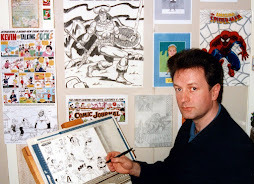 Sometimes, an Annual could go on for years, far outlasting the weekly comic that spawned it. The '70s incarnation of KNOCKOUT is a good example, the comic lasting only two years, but continuing in Annual form for another twelve, thereby producing thirteen Annuals in total. 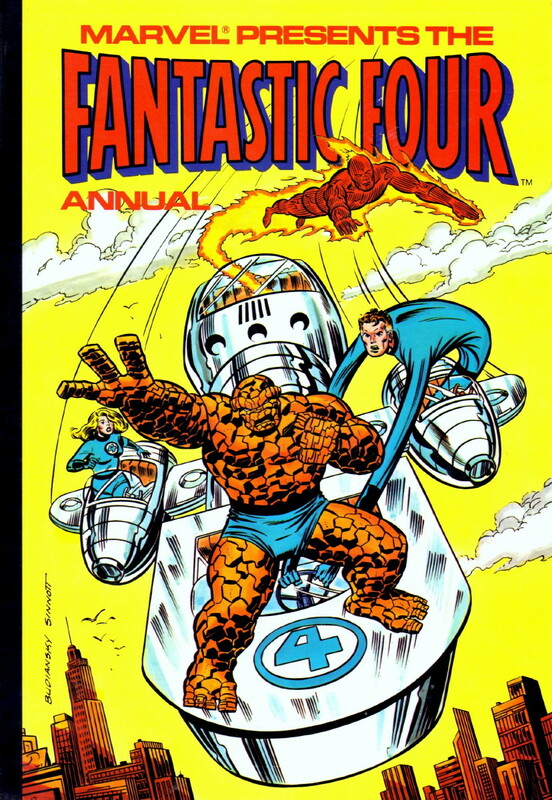 It's not quite the same with MARVEL UK's FANTASTIC FOUR Annuals, which, as far as I'm aware, total a mere three, and it's by no means certain that the final two (if such they were) are even tied into the weekly The COMPLETE FANTASTIC FOUR anyway. Also, in its last few weeks, the comic had been reprinting The INVADERS, and the 1979 FF Annual carries a team-up tale between the World War II group and the cosmic quartet. The Invaders first appeared in the May 3rd issue of the weekly (which went on sale on April 26th), but comics are prepared around eight weeks in advance, so the decision to include them was taken at least at the start of the year, suggesting that the Annual's team-up story was no mere coincidence, but designed to reflect the contents of the weekly. 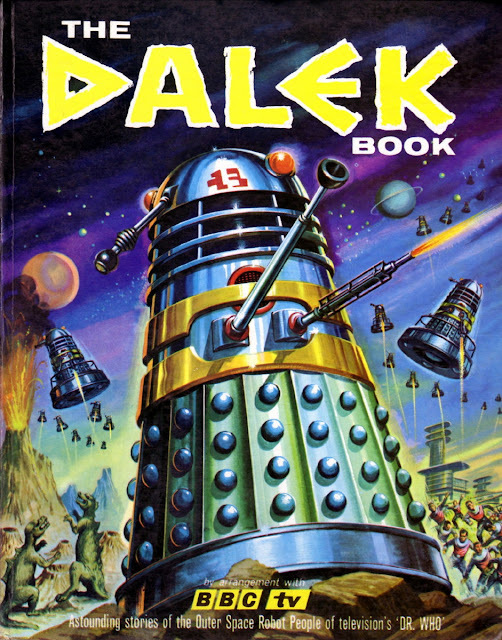 By the time the other two Annuals appeared (for '80 & '81), they were published by GRANDREAMS (who, if I recall correctly, were situated in the same building as Marvel UK, hence the 'collaboration'), but whether or not they were intended to be seen as a direct spin-off from the now-deceased weekly title is anyone's guess. They may simply have been commissioned because the first Annual sold well (I'm assuming), so it would have made sense to continue - at least until sales started to decline beyond a commercially-viable margin. I'm puzzled by the similarity between the first two covers - could they both have been drawn at the same time to the same editorial description in order to give Marvel a choice? 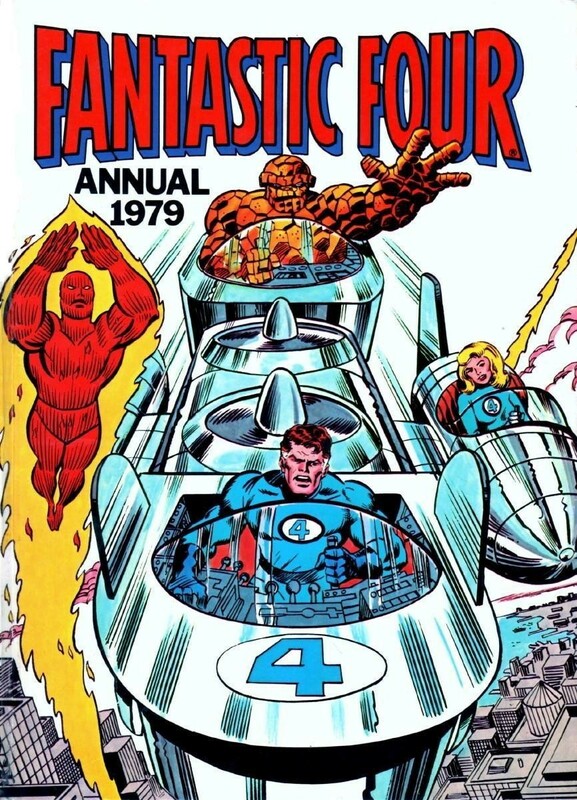 That first cover is nothing brilliant - The THING is far too large to fit in his FANTASTI-CAR section if you imagine the rest of his body, and the perspective of The TORCH is dodgy in relation to his own section of the vehicle. Even the second cover has its faults, with SUSAN RICHARDS being far too small when compared to the other three. Also, the thumb on The Thing's right hand is lost against the detail of his arm, and should've been drawn protruding slightly upwards so that we could see it. 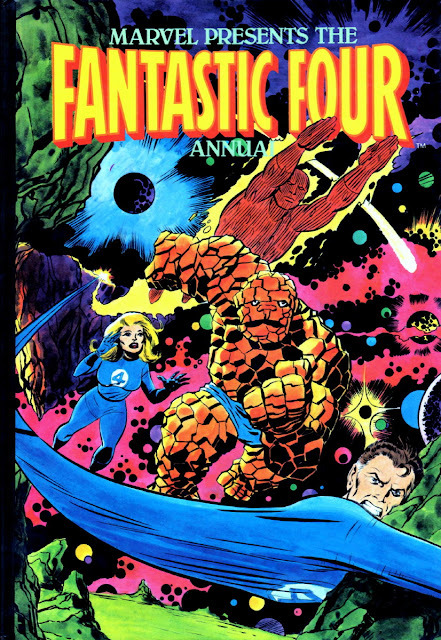 I only acquired the first two Annuals in recent weeks, though I've had the third one for well-over twenty years, but I decided to complete the 'set' to complement my run of The Complete Fantastic Four weekly comic. Feel entirely free to regard this post as a follow-up to the above-named title's cover gallery series from around three years back - whether the last two Annuals were intended to represent the comic or not. And as I said earlier, if you know of any other Marvel UK FF Annuals from around this period, then let's hear all about them, effendi. I always liked the covers with Dr Doom on.. His mask just looked evil and to a 10 year old better than the heroes. Although it looked great, I could never quite work out why the 'mouth' made it look as if Doom had no mouth or jaw. He obviously must've had or he wouldn't have been able to speak, but the mask makes it look like he doesn't.